Since 1996, Vogel Home Improvement has been dedicated to providing the highest quality remodeling services to Anchorage area residents. 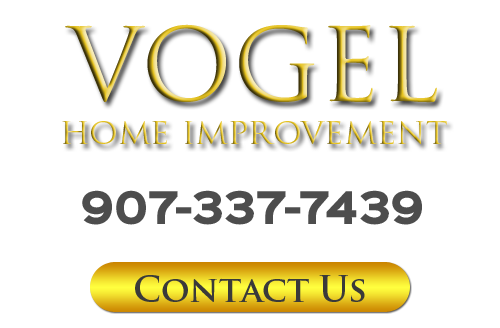 Owned and operated by Bob Vogel, Vogel Home Improvement is the home remodeling company that places customer satisfaction as its highest priority. As an experienced remodeling contractor, Bob specializes in kitchen and bathroom remodeling services. He also installs flooring, tiles, trim work, built-ins, drywall, and more. No matter what type of home improvement project you are planning, Vogel Home Improvement can accomplish all of your goals. Call Vogel Home Improvement today if you need to hire a professionally licensed kitchen or bathroom remodeling contractor in Anchorage. Bob would be happy to take your call and to answer any questions that you may have about the home remodeling services he offers. He'll try to answer any questions, and would be happy to schedule your appointment to further discuss your service needs today. If any room of your home should be customized to you and your family, that room is the kitchen. As a local Anchorage kitchen remodeling contractor, Bob Vogel can completely transform the look and feel of your kitchen. He can install flooring, cabinets, countertops, appliances, lighting, and fixtures that will make all your cooking and cleaning tasks easier and more enjoyable. You and your family will love the results. Your bathrooms are an absolutely essential portion of your Anchorage property. Each and every morning, you and your family rely on these areas to get ready for the day. 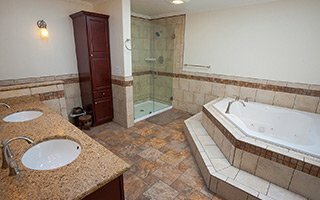 By investing in bathroom remodeling in Anchorage, you can vastly improve how you and your family use and enjoy your home. Bob is an experienced Anchorage bathroom remodeling contractor, and he would be happy to assist you with the entire effort. Vogel Home Improvement ensures its clients receive the best craftsmanship and customer service, no matter how small or large their project may be. You can rely on Bob Vogel to guide you through the entire process, and provide you with the finest home remodeling services available in the Anchorage area. He takes pride in his work, and it shows in the fantastic results he is able to produce for his clients. From complete kitchen renovations to small bathroom updates, painting, and more, Vogel Home Improvement is here for all your home remodeling needs. If you are planning to install new flooring in your Anchorage home, Vogel Home Improvement is here to assist you. Bob can help you select and install the best and most customized flooring materials for every room of your home. He installs beautiful hardwood, tiles, and more. With his guidance and services, you and your family are guaranteed to love your new flooring for years to come. In addition to the exceptional remodeling services that Vogel Home Improvement provides, Bob is also adept at interior painting and drywall installations and repairs. When you hire him as your Anchorage remodeling contractor to repaint your living spaces, you and your family can express your unique identity throughout every room of your home. He will expertly repair and prepare every surface of your property before paint application. The results will be stunningly beautiful and long lasting. At Vogel Home Improvement, Bob understands how important your property is to you and your family. He is honored by the fact that so many local residents have trusted Vogel Home Improvement over the years with all their home improvement projects. In every service that Vogel Home Improvement provides, Bob makes it his mission to honor this trust by treating his efforts as if he were performing them on his own home. With this mindset, Vogel Home Improvement can achieve the best possible results. In the end, Bob seeks to form long lasting and mutually beneficial relationships with all of Vogel Home Improvement's customers. As a local remodeling contractor, Bob conveys the fact you can trust Vogel Home Improvement with all your present and future home remodeling needs through the high quality results that he achieves on each and every project. With his help, you will be able to achieve all of your home improvement goals. If you are looking for an Anchorage remodeling contractor then please call 907-337-7439 or complete my online request form.